Pioneers in Management Education since 1974. The unique design of the PGDM programme is based on the Instructional System Design Methodology. Developing Leadership With Human Values. 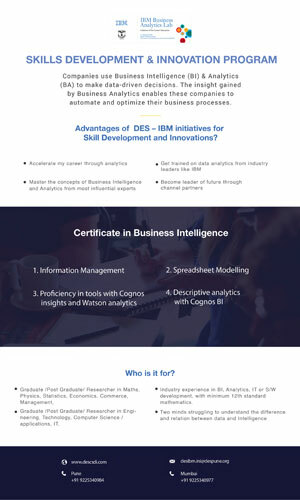 Business Intelligence: Helps Companies by providing accurate real time data to make better business decisions. com has more than 15000 job openings for such Skilled Based Professionals. 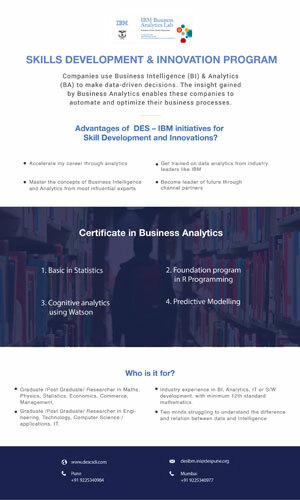 Business Analytics: Gives Statistical & Quantitative data and explains why certain results occur. Helps Companies to understand “WHY” it happened and “Will it Happen Again” which further helps to automate and optimize their Business processes. Naukari.com has more than 10000 job openings for such Skilled Based Professionals. 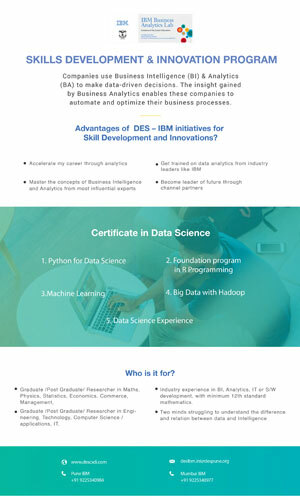 Data Science: Is about extracting, Cleaning ∫erpreting data through statistical tools and helps Companies to Visualize & understanding the implication of the data. com has more than 2000 job openings for such Skilled Based Professionals.